Are the traits of anyone close to you apparent in your characters? For me, part of the fun of writing is creating characters who aren’t like anyone I know. I love constructing backstories, personal histories and complicated agendas, and I tend to create the kind of people I think it’d be interesting to meet. Some of my characters are people I’d like to hang out with. Some of them are people I’d be curious to observe from a safe distance. What would you like for readers to take away from your novel/novels? There are so many books that have had an impact on me! Many of Sir Terry Pratchett’s books, in particular, had a profound effect on me during my high school years – Guards, Guards, Small Gods, Hogfather, to name a few. His stories are not only masterfully written, but they challenged my ideas about the world, and myself, at a time when I was still working out what kind of a person I wanted to be. His stories made me realise that the person you are is shaped not only by the epic, life-changing decisions you make, but also by the day-to-day things you stand up for. Becoming a better person is an active, lifelong challenge. Which came first for you--the characters, the idea for the setting, or the plot? For my short story, ‘Autumn Moon’, which features in the anthology Holiday Magick, I knew I wanted to write a story about the Chinese Dragon Boat Festival. The original legend involves tragic poets and the fall of kingdoms, and I thought it’d be fun to create a story about a contemporary woman whose life unexpectedly intersects with this epic, dramatic myth. 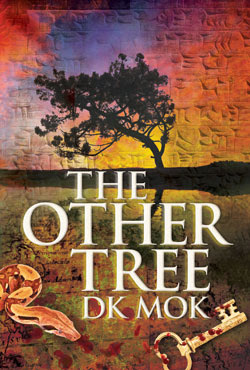 For my urban fantasy novel, The Other Tree, which comes out via Spence City in December 2013, the concept came first. My sister, Anne – who’s also a writer – mentioned one day that she’d like to read a story about people searching for the Biblical Tree of Life. My imagination ran away with this idea and wouldn’t come back. I decided that I wanted to write a novel in which the protagonists were a young, outcast botanist – Chris, and a sardonic, campus priest – Luke, who team up to hunt for the Tree of Life, in an adventure romp across the globe. 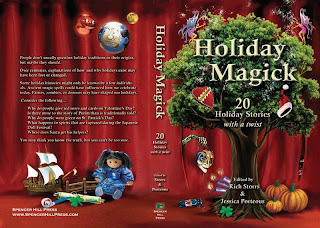 As the project evolved, The Other Tree also became a much more personal story about family, mortality, and priorities. Tell us something about your book that we wouldn’t know just by reading the blurb. The Other Tree is an urban fantasy adventure, but I’m a bit of a pop-culture nerd, so I couldn’t resist scattering the novel with a few references to sci-fi, fantasy and gamer culture. If you’re a nerd, you’ll spot the in-jokes. If you aren’t, hopefully you’ll enjoy the action adventure and unfolding mystery. Is there one piece of advice you wish someone would have given you before you started writing? I think one of the most useful pieces of advice remains very relevant for me today – be true to yourself, and keep writing the stories that matter to you. However, when Chris’s father is unexpectedly diagnosed with inoperable cancer, Chris sees only one solution. Vowing to find the Tree of Life before SinaCorp’s mercenaries, Chris recruits Luke, an antisocial campus priest undergoing a crisis of faith. Together, they embark on a desperate race to find Eden. However, as the hunt intensifies, Chris discovers growing evidence of her mother’s strange behavior before her death, and she begins to realize that SinaCorp isn’t the only one with secrets they want to stay buried. Interview with Kendra L. Saunders! Sneak Peek at FOR EVERLY by Raine Thomas! Picture Window template. Header graphic by inside the kaleidoscope. Powered by Blogger.